Are you looking for a more efficient way to build quality structures? SIP construction may be your solution. Insulspan wants to be your partner in providing your clients with homes or commercial projects that they love. We help customers maintain their reputations by providing a proven building product that is easy to use. It is also structurally superior, and highly energy efficient. 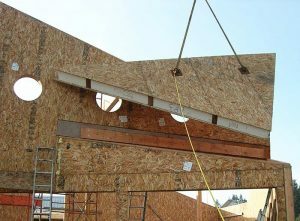 Insulspan structural insulated panels are the only SIPs with evaluation reports in both the US (ICC-ES) and Canada (CCMC). Our SIP panels help construct everything from small ADUs to large commercial buildings. We also offer a range of SIP products providing R-values that can meet any energy code. We can even provide products that help your building qualify for an energy program. Learn more about specific codes on our Code Compliance page. Review our range of SIP products to compare R-values. Speed of construction is a key value to many residential and commercial builders using Insulspan SIPs. This is why, before arriving at your build site, one of our quality-controlled facilities produces your prefabricated SIPs. Choose our RTA option and the structural insulated panels arrive on your site pre-cut with all the lumber pre-installed, electrical wire chases and openings pre-cut, and finished with window and door bucks. In fact, Insulspan offers the most complete RTA (ready-to-assemble) SIPs in the industry. Additionally, using SIPs for your exterior shell reduces your dependence on skilled framers. It is incredibly valuable if you are doing multi-unit projects, such as a residential subdivision, because you reach the dry-in phase more quickly and move on to the next unit. 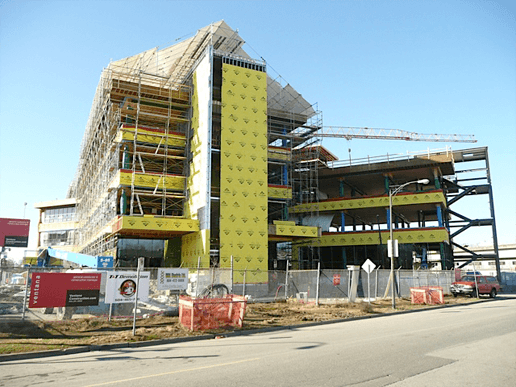 Insulspan SIP structures address energy loss through both convection and conduction; this creates an incredibly energy-efficient building envelope. By creating a super-tight building envelope, your clients enjoy more consistent interior temperatures and no drafts, subsequently increasing their comfort. Engineered to exceed building codes and maintain energy efficiency over time, SIP structures offer better resell value. Everyone wants it done faster. Set yourself apart from competitors. Reduce your timelines by using our proven prefabricated panel system. Insulspan makes it easy for builders to transition into building with our structural insulated panels. Insulspan provides the most detailed construction documents in the industry. Our complete RTA SIPs can eliminate your need for expert onsite modifications. We offer access to expert installation assistance with onsite technical advisors. Attend one of our Insulspan Universities to get a hands-on education. Once you do your first project, you will have the experience you need to repeat that success. Use our website to help showcase the benefits of Insulspan SIPs to your future clients. Are you ready to try an energy efficient construction solution that structurally increases durability while reducing your build cost?